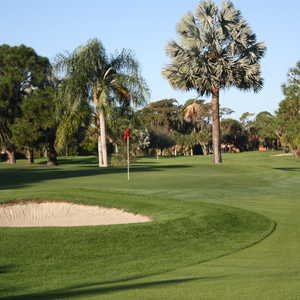 The 18-hole White/Gold at Wyndemere Country Club in Naples, FL is a private golf course that opened in 1981. Designed by Arthur Hills, White/Gold at Wyndemere Country Club measures 6753 yards from the longest tees and has a slope rating of 142 and a 73.4 USGA rating. The course features 7 sets of tees for different skill levels. Greens and fairways are bermuda grass. When it comes to choosing a place to live in Naples Florida, there are plenty of neighborhoods to choose from. 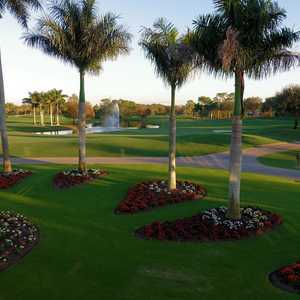 Choosing to live in a golf community doesn’t narrow it down much, Naples has plenty of those too. So how do you choose, and what do you base your choice on? All offer superior, well maintained golf facilities and a myriad of other activities – recreational and non – but what sets Wyndemere apart are the people. Everyone in the community, from the Members to the clubhouse staff to the maintenance crew, all greet you with a warm friendly smile and kind words. It’s the people that set Wyndemere apart. Wyndemere Country Club is the dream and vision of Gerald Livingston, who purchased a 450-acre tract of land on which to build a country club, with the hope that it would someday become a beehive of social activity, providing a sanctuary where Members could enjoy recreational activities and create everlasting friendships. Mr. Livingston’s vision was realized when Wyndemere Country Club opened its gates in 1981. Over the years, Wyndemere has been both home and host to some pretty well-known folks. 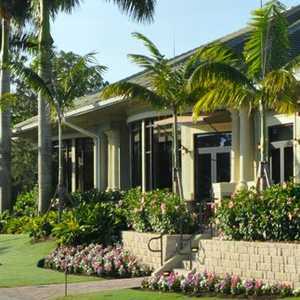 Some of the Club’s more famous residents include Chi Chi Rodriguez and legendary football coach, Mike Ditka. Golf greats such as Fuzzy Zoeller, Gary Player and Lee Trevino have graced the fairways at Wyndemere Country Club. 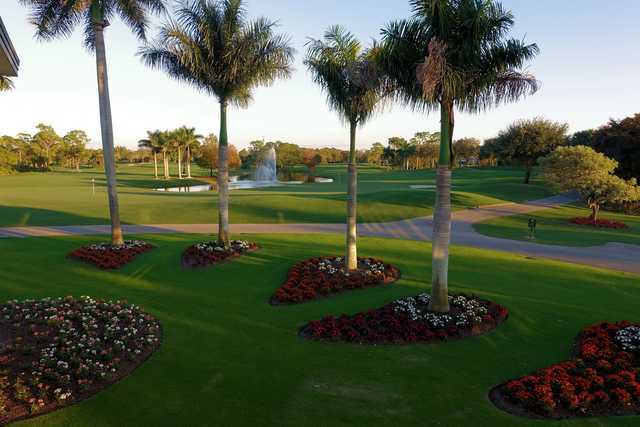 The goals of Wyndemere are clear and simple: to provide Members, their families and guests with an exceptional experience and to preserve and strengthen Wyndemere as a premier, private country club community in the Naples, Florida area. The golf at Wyndemere Country Club is incredible and features 27-holes of Arthur Hills-designed golf, making for three distinctively different 18-hole layouts. 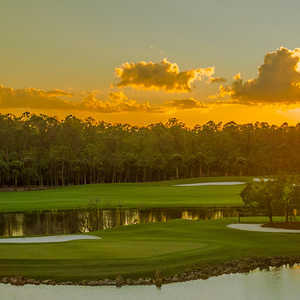 Delicately sloping, tree-lined fairways intertwine with intriguing water features and beautiful coquina waste areas to create a course that will challenge golfers of all skill levels and abilities. You don’t need to be able to hit 300-yard drives to score well and have a good time. Each golf course at Wyndemere has been redesigned and renovated within the last 5 years and has never been in better condition than it is these days. Seven sets of tee boxes ensure that a playable distance is available to every level of golfer. 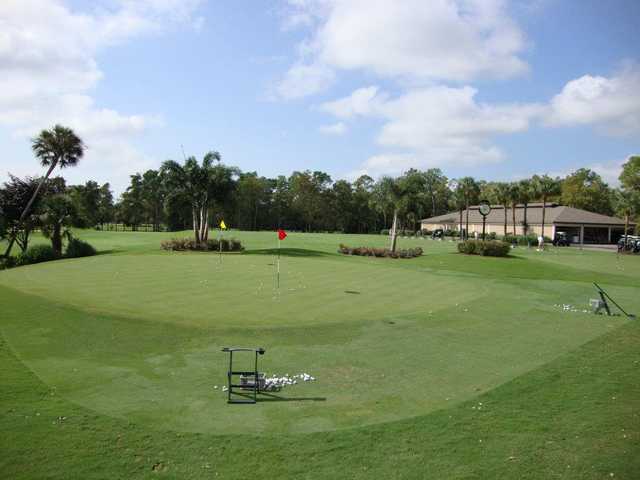 All serious golfers know that practice is the sure way to get better and Wyndemere has the golf practice facilities and professional staff that can help take your game to the next level. Their practice area features a double-ended driving range as well as a short game practice area complete with chipping green, bunker, and oversized putting green. Need some help with your game? The Professional Golf Staff at Wyndemere Country Club is dedicated to helping you improve your game and maximize your enjoyment of the sport. Their player development program offers Individual golf lessons, complimentary golf clinics and demonstrations with golf schools for Members. In the event golf isn’t your game, Wyndemere has one of the most active tennis and pickleball programs in the state of Florida. The Tennis Facilities recently underwent a $1.6 million renovation. The 10 state-of-the-art Har-Tru courts – 4 of which are LED lighted for night play - are frequented by over 200 active tennis players and play host to leagues for every skill level from 2.5 and above. There’s also a robust inter-club tournament schedule. Wyndemere hosts local professional exhibitions on their stadium court. Tennis lessons and group clinics are available from Wyndemere’s talented staff along with a Racquet Sports Shop that is stocked with the latest brands in tennis, pickleball and fitness. Pickleball is the fastest growing sport in Southwest Florida and the Wyndemere community takes the sport to a whole new level. You’ll find numerous pickleball leagues and opportunities to play throughout the year; there’s never an off-season for this incredibly popular sport. Wyndemere has one of the most active bocce programs in Naples with hundreds of players. The two lighted courts are centrally-located with access to both their world-class outdoor dining and bar service. You just might find it’s the hub of Club and inter-club activity on any given evening. Physical fitness is at the top of the list at Wyndemere and they are proud to be one of America’s Healthiest Clubs! They are dedicated to providing best-in-class facilities and their individual and group classes will keep you healthy and active. The fitness center is a state-of-the-art facility complete with the latest Precor® cardio equipment. Bluetooth connectivity, TV viewing screens complete with Netflix, Hulu and Spotify ensure your workout is as entertaining as it is satisfying. Wyndemere offers a full complement of personal trainers and fitness professionals certified in various modalities. For golfers, they feature the Titleist Performance Institute, which can help improve your mobility and flexibility as it relates to the golf swing. After your workout, check out the Club’s spa facilities and enjoy massage services, facials, acupressure, cupping and other breakthrough treatments to keep you looking and feeling your best. The Wyndemere community and workplace are also committed to a clean and healthy living, becoming one of the first country clubs in Southwest Florida to be certified as an official Blue Zone site. When you’re ready to relax poolside, Wyndemere has a couple of options. The resort-style infinity pool is the ideal setting to relax and enjoy chairside service. A unique array of Aqua Aerobics programs are available for Members who enjoy low-impact water-based workouts. These programs will help improve flexibility, cardio, and muscular conditioning. There’s also a lap area as well as a shallow area to just relax and cool off. You’ll find an ample supple of chairs and umbrellas and food and beverage service is also available. Life is better when you’re surrounded by friends and at Wyndemere Country Club, you’ll find friends relaxing over cocktails near the outdoor fireplace, tossing a bocce ball on one of their courts, hitting balls back and forth on the tennis and pickleball courts and enjoying each other’s company poolside. The Club’s event calendar is packed with entertainment and social activities for those who enjoy an active lifestyle with friends. In addition to activities already mentioned, Members create lifelong friendships at social events such as wines tastings, card games, biking clubs and themed parties. Wyndemere Members are also very passionate about creating a better Naples community, and regularly contribute to organizations such as Habitat for Humanity, Drug Free Collier, St. Matthew's House and Bosom Buddies. Wyndemere is a mandatory membership community with two membership categories currently offered, Golf and Sports. A limited offering of Non-Resident and Preview Memberships are also available. Club improvements are funded through a one-time capital assessment fee at joining along with annual capital dues. This ensures the Club will continue to innovate and elevate the Member experience for years to come. In 2015, Wyndemere was honored as a Distinguished Club of the World, a mark of excellence reserved only for the best private clubs committed to improving the member experience in every facet of Club Membership. As the new year dawns, Wyndemere was further honored by becoming a Platinum Club of America, a revered status reserved only for the best 5-star clubs in the country. Having completed $20 million of major renovations over the last five years to their clubhouse, golf courses, and campus grounds, Wyndemere’s facilities are at their peak and poised for the future. Whether you’re in the market for a condominium, vacation villa or even a dream estate – you’ll find that Wyndemere has everything you’re looking for. More importantly, you can feel confident in your home purchase at Wyndemere has a proven record of investment value. Since each homeowner is required to maintain Club Membership, the financial stability of the community is ensured for generations to come.